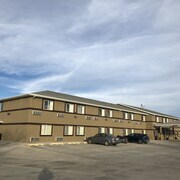 Situated in Green River, this hotel is 0.6 mi (0.9 km) from John Wesley Powell River History Museum and 1.5 mi (2.5 km) from Green River State Park Golf Course. Swasey's Beach and Arches National Park are also within 32 mi (52 km). 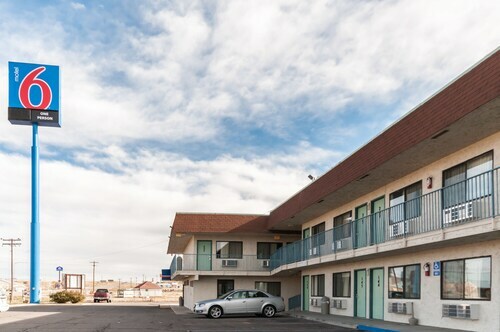 Situated in Green River, this motel is 0.5 mi (0.8 km) from John Wesley Powell River History Museum and 1.5 mi (2.3 km) from Green River State Park Golf Course. Crystal Geyser and Swasey's Beach are also within 12 mi (20 km). 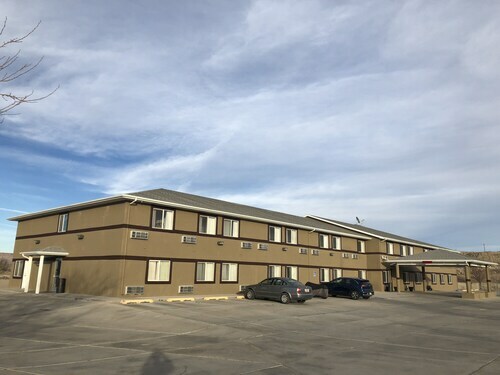 Located in the heart of Green River, this hotel is 0.5 mi (0.8 km) from John Wesley Powell River History Museum and 1.5 mi (2.3 km) from Green River State Park Golf Course. Crystal Geyser and Swasey's Beach are also within 12 mi (20 km). 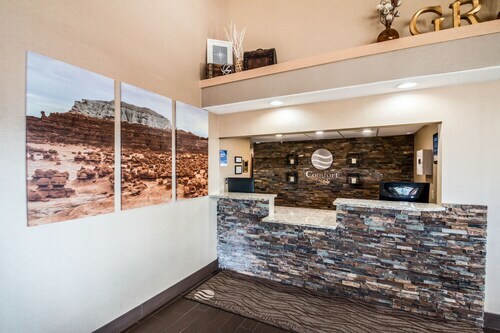 Situated in Green River, this hotel is within 1 mi (2 km) of John Wesley Powell River History Museum and Green River State Park Golf Course. Crystal Geyser and Swasey's Beach are also within 12 mi (20 km). 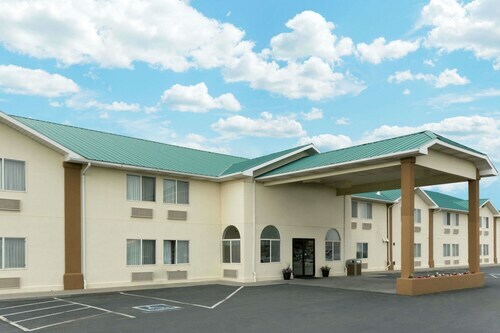 Located in the heart of Green River, this hotel is within a 15-minute walk of Green River State Park Golf Course and John Wesley Powell River History Museum. Crystal Geyser and Swasey's Beach are also within 12 mi (20 km). Green River Station is 16 minutes by foot. How Much is a Hotel Room in Green River? 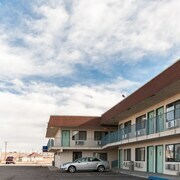 Hotels in Green River start at $54 per night. Prices and availability subject to change. Additional terms may apply. Do you love hiking, biking, or rafting? Do you long to explore a place that seems untouched by man, while still being close to comfortable lodgings? Make a reservation at one of the hotels in Green River, Utah, and get ready for an outdoor adventure you'll never forget. Many of the Green River hotels are near the shops, restaurants, and attractions of Main Street. Take a leisurely stroll through town and visit the John Wesley Powell River History Museum. Not only does it provide an impressive amount of information about the Green River (and other major rivers in the area), it features a boat room, dinosaur bones, and the River Runner's Hall of Fame. Green River rafting tours are frequent (weather permitting), and fishing and swimming are popular activities in warmer weather. Just a little over four miles downriver, and close to cheap hotels in Green River, is the awe-inspiring Crystal Geyser. This cold water geyser is on the east bank of the river—a perfect spot to lay out a picnic in hopes of catching an eruption. Be sure to add the Goblin Valley State Park to your itinerary. Whether you go to hike the rugged trails, mountain bike, or just wander among the stunning sea of red rock formations (often likened to goblins, hence the name), the visuals will stay with you long after your vacation ends. Once you've returned from your explorations, dust yourself off and walk back toward Main Street for an evening of casual dining and good conversation. American classics like burgers with a local twist vie with Mexican cuisine, and you might even find yourself enjoying the tastes of the city while sitting in view of the flowing river. You can find the best vacation package to Green River to fit your budget here on Travelocity. We offer deals on over 400 airlines and more than 510,000 hotels worldwide. It's time to book one of our cheap flights to Salt Lake City and head for adventure. The mattress was getting a little old. It was side and dented in where people have slept. The decode was dark and kind of ugly. Otherwise it was clean and everything was there that we needed. 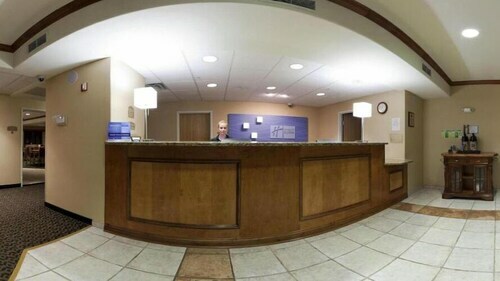 The staff was very pleasant both during check in and when I checked out. The bed was comfortable. The room was clean. Nice hotel, very clean and the breakfast was great. The hotel management was very friendly and helpful. This hotel is a great lower price option for the area. Overall a pleasant stay. It's a motel :-) Decent location. Very clean hotel with helpful staff. Enjoyable stay. Green River Mesa...with a View! !